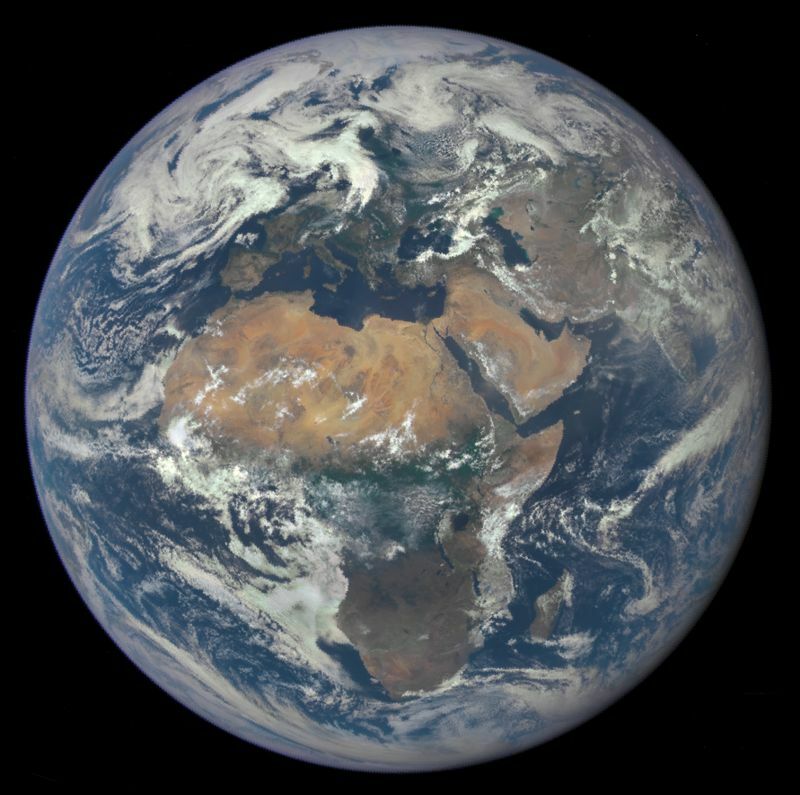 Earth, our home planet, is the third planet from the Sun and the fifth largest planet in the solar system. Earth is currently the only place in the Universe where life is known to exist. Around 70 per cent of the Earth’s surface is covered with liquid water. The Moon is the Earth’s only natural satellite (discounting orbiting rocks), however, the Earth now has over one thousand artificial satellites.